A high number of loggerhead nests on Zakynthos island in 2018: what else is needed to achieve good conservation status for the species in Laganas bay? Come this year's Spring Equinox, the first loggerhead sea turtles were once again spotted mating in the blue waters of the Ionian Sea. Many of them arrived here after a long journey through the Mediterranean Sea. 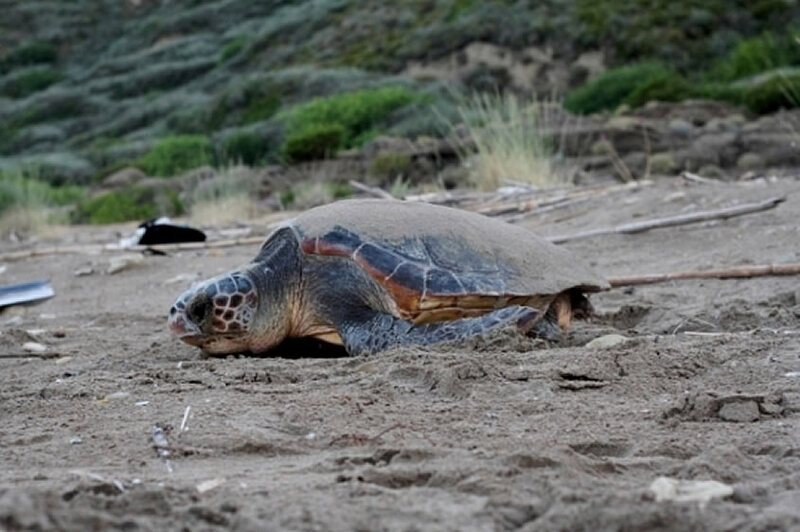 Later in May, females will start laying their eggs on the beaches of Laganas bay, designated as part of the National Marine Park of Zakynthos and the Strofades islands (NMPZ) since 1999. 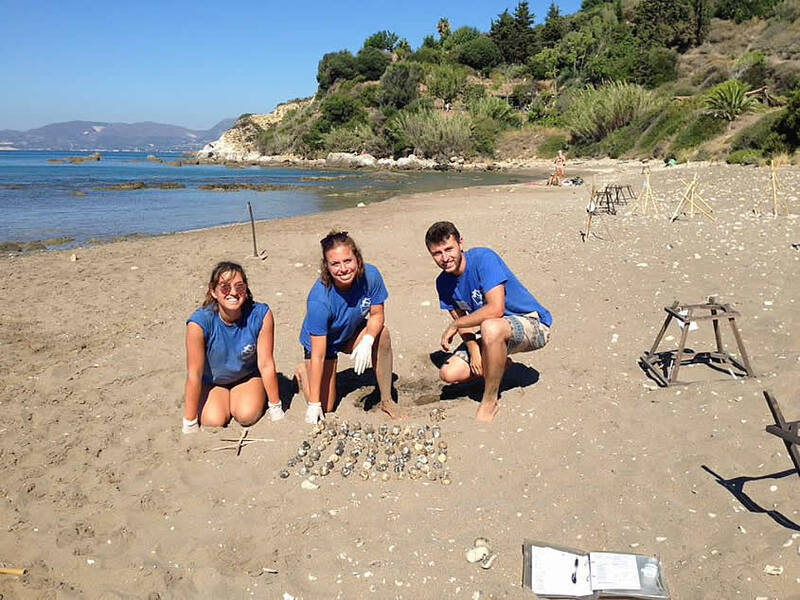 In 2018, ARCHELON, in collaboration with the Park's Management Agency, recorded more than 1,500 nests on the 6 nesting beaches. According to data collected systematically since 1984 by ARCHELON for Zakynthos, last year's number of nests is notably higher than of the average which is 1,174 nests. In only three previous years (1986, 1989 and 1995) more nests than those of 2018 have been recorded in Laganas Gulf area. Sea turtles are known for their longevity. They start reproducing after their 15th year of age, usually nesting in every other year. The analysis of timelines data for Zakynthos, which are among the most complete in the Mediterranean, indicates a prolonged decreasing trend in the number of loggerhead nests. This trend must be co-evaluated along with many other factors, including the previously identified and still recurring pressures within the nesting areas, as well as threats that appeared recently. Which are these pressures still occurring within the protected nesting sites? only about half of this furniture, in average, was being removed from the beaches every sunset in order to allow nesting of the sea turtles at night, again not full complying with the regulations. This sums up to 146,950 incidents of violation for 1,600 pieces of beach furniture, in a 150-day period. A number of law violations were also recorded within the marine area of Laganas bay: 1,211 violations of speed limit and prohibited anchoring by boats, as well as 2.748 violations of the voluntary sea turtles' maritime observation code, within the same 150-day period. ARCHELON, the Sea Turtle Protection Society of Greece, is active on Zakynthos for the last 35 years, and during these years many things have changed on the beaches of Laganas bay. The number of beach visitors is increasing year after year (with the exception of the Strict Nature Reserve of Sekania) and sea turtle spotting boat trips have started to operate during the last 15 years. Something that has not changed, though, is the unauthorized business operation of illegal buildings behind some of the nesting beaches. A new potential threat has appeared in relation to the impacts of the Ionian Sea's Hydrocarbon Extraction proposed projects, for these waters are part of the sea turtles' annual migration route for their reproduction. tourism. In ARCHELON we take action using every margin for improvement for sea turtle conservation as well as for the public image of Zakynthos. In 2018 we continued and enhanced our collaboration with the Municipality of Zakynthos and the Laganas Gulf area in specific, the Port authorities, as well as with many local touristic enterprises. ARCHELON’s volunteers talked to more than 60,000 Zakynthos' visitors about sea turtles and their protection. 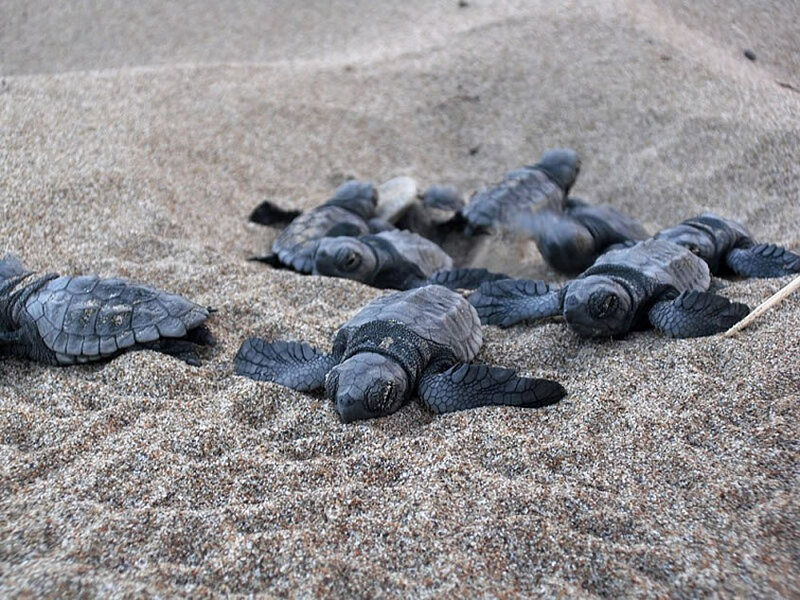 ARCHELON’s team will once again be present there this summer, with the same consistency, perseverance and enthusiasm, always aiming at the protection of sea turtles and their habitats. More than 500 people from Greece and worldwide volunteer to participate in our projects from May to September every year. Training on their duties is provided by experts and they have the opportunity to enhance their practical skills and experience being part of an international conservation team. More than 60 internships are provided every year in collaboration with 30 educational establishments.